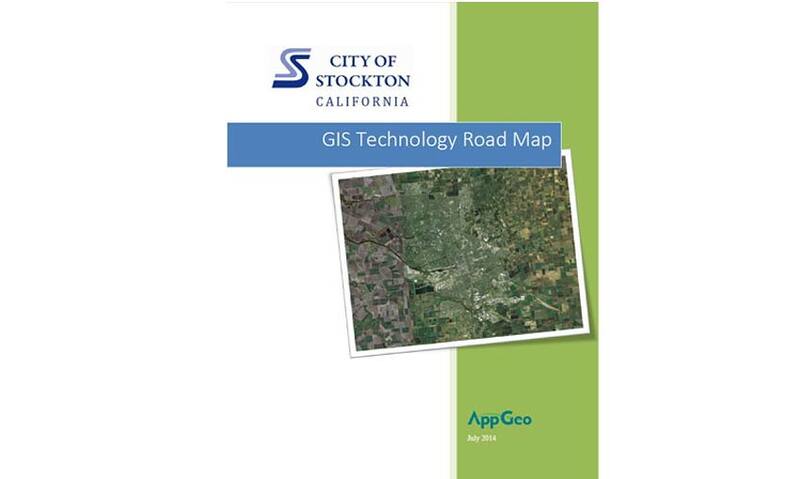 AppGeo performed a GIS technology assessment and roadmap development project for the City in 2014. 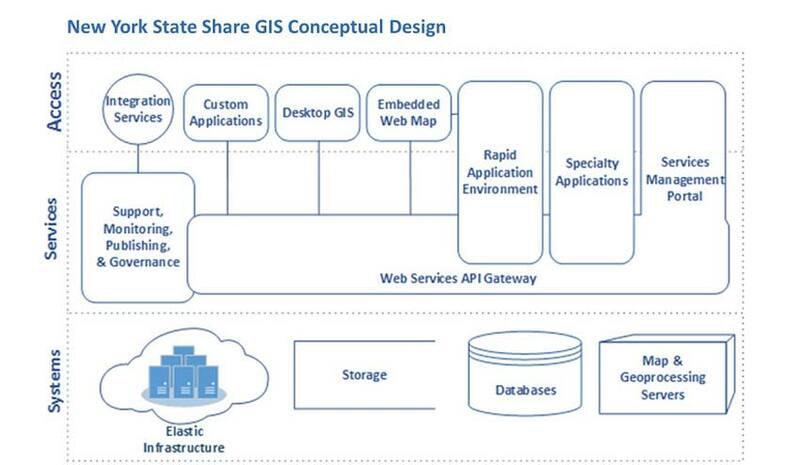 The scope of work had eleven specific objectives covering all aspects of GIS from data and system evaluation to business process integration and governance. 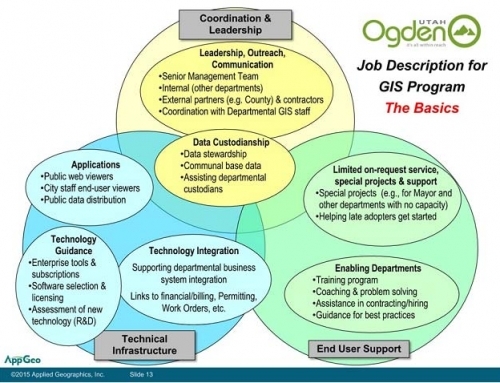 AppGeo conducted an online survey of stakeholders, numerous departmental interviews, and extensive review of documents, software and data holdings. A SWOT (Strengths, Weaknesses, Opportunities, and Threats) analysis was used to identify and organize an assessment of gaps to fill and of strengths to leverage going forward. 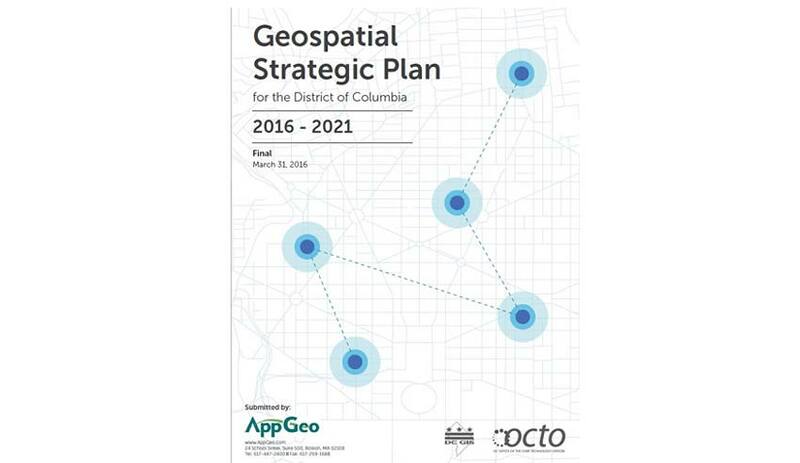 AppGeo conducted a Joint Review Workshop with the City on vision development, goal setting and prioritizing recommendations. 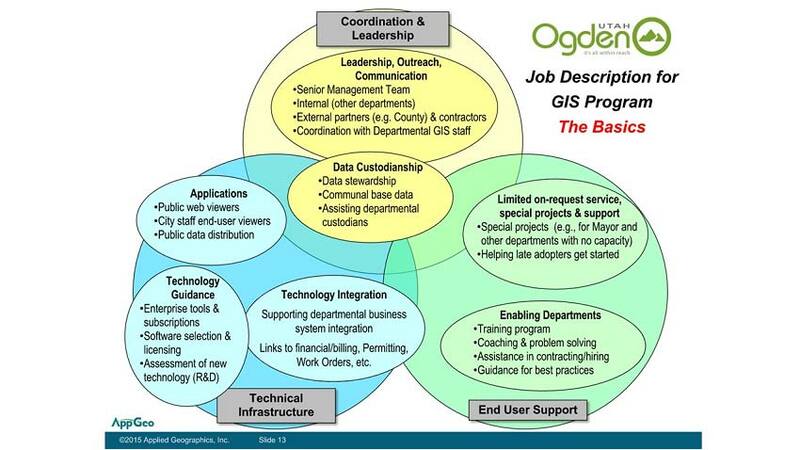 Two different visions were presented based on different assumptions about future budgets and staffing levels. 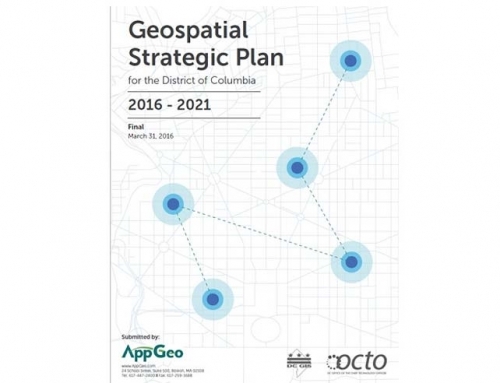 The final report presented a strategic vision with specific programmatic recommendations for technology modernization, a sustainable GIS program design, business system integration with GIS, and targeted investments to address data deficiencies. The final report was delivered in July 2014. 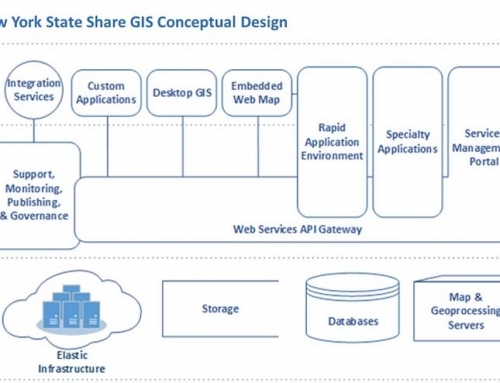 Since the completion of the final report, AppGeo has continued to support the GIS program with a modernized geospatial web viewer.